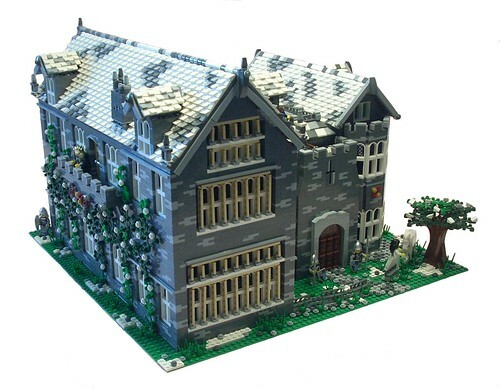 Brick Town Talk: Gray Castle - LEGO Town, Architecture, Building Tips, Inspiration Ideas, and more! There's some amazing architectural detail in this model, from the ground right on through to the roof. However, I would really like to know the cost estimate on a thing like this! The entire wall is made by a bunch of 1x2s by the looks of it. Keep up the great work!